Following unfavorable feedback, the Ministry has now withdrawn these regulations. No official letter has been issued and but the original announcement has been retracted from the Ministry’s website. The current POA requirements as follows: 1. A single POA legalized up to the Kuwaiti Embassy is sufficient to file multiple applications belonging to the same applicant; 2. A soft-copy of the POA is mandatory at the time of filing; 3. There is a 30 day grace period for filing the POA; 4. and POAs can be valid for a maximum of 10 years. If you have any questions, please feel free to contact us at kuwait@eldib.com. Due to the continuing political turmoil, our firm in Khartoum is now closed until Monday April 15 and may be extendible after the events of the weekend unfold. We will provide you with updates as soon as they become available. As you have likely learned, tensions are rising in Libya as the capital of Tripoli and surrounding areas are affected by clashes and impending danger in the nation. Anti-president protests in the Sudanese capital of Khartoum are ongoing and continuing to grow with military intervention imminent. These events could interrupt business flow in Libya and Sudan respectively. Our firms in both jurisdictions are open as usual and we will do our best to make sure that instructions are attended to in a timely fashion, yet we expect that there may be periods of danger not allowing our teams to proceed with scheduled work, times where government entities will be closed, and periods where electricity, phone and internet connections may be affected. We ask for your cooperation during this time and to allow for delays. We also ask that instructions for Libya and Sudan are sent well in advance of any deadlines, allowing ample time for the firm to act in case of any of the above scenarios. 5. POA cannot be valid for longer than 10 years, and can be renewed within 6 months of its expiration. It is important to note that each trademark, even if belonging to the same applicant will now need its own POA. 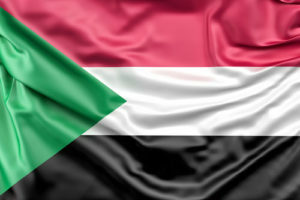 The head of the Sudanese Registrar General of Intellectual Property has announced the cancellation of the committees of appeal. As such, any responses to office actions must be filed before the competent courts. In other words, any interested party shall appeal the office action before the court within one month from the date of issuance of the office action, and the matter shall be deliberated as a law suit. We have also inquired about the pending appeals and were advised that no decision has been taken yet in this regards. We will keep you advised with further updates as they become available. Should you have any questions and queries, please contact us at mail@eldib.com and we will be proud if you turn to us with confidence. Eldib & Co had the privilege of being the sole Legal Expert for the VIC-MED project “Establishment of a Navigational Line between Lake Victoria and the Mediterranean Sea”, throughout its pre-feasibility study phase. d) Reduce poverty among the Nile Basin countries. 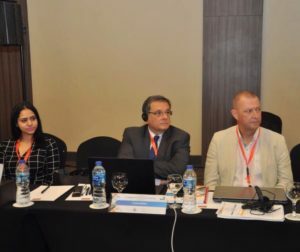 Eldib & Co has successfully prepared the Legal Framework for the Project, at this phase, which was presented and approved by the Project’s foot-print countries and management unit during the Fourth Steering Committee Meeting which was held in Egypt on the 16th and 17th of October, 2018 during Egypt’s First Cairo Water Week (CWW) which kicked off on Sunday 14th of October, 2018 under the auspices of President Sisi, aiming to increase the public awareness of water rationalization for the sustainable development amid state of water. We are extremely grateful to be part of such a historic and strategically significant milestone for the region. Eligible power of attorney from the individual. Power of attorney enclosing the right of establishing a company, signature of articles of association before the notary public. Security check form for the company founder and/or foreign manager. Original extract from the register of accountants and auditors is required for the accounts auditor to be appointed, the extract shall be enclose his right to review and approve the budgets of the company, hence, a copy or confirmation of the appointment has to be submitted in advance to the GAFI. In case of “In Kind share” an evaluation of the “share” shall be submitted from the competent experts and the founder’s approval of the validity of the said evaluation. In the case of a public free zone, the approval of the Authority shall be obtained before incorporation and the approval of the Board of Directors of the free zone to which the project is to be established. Our experienced and specialized attorneys at Eldib & Co will guide you step by step for any company incorporation matters. Should you have any questions and queries, please contact us at mail@eldib.com and we will be proud if you turn to us with confidence. Eldib & Co – Attorneys at Law has been providing services in Intellectual Property for the last 100 years and in turn gained the trust of thousands of clients. It is now our pleasure to announce the opening of our new Turkish office located at: Maslak Mah. Ahi Evran Cad. Polaris Plaza No: 21 Kat: 3 D: 18 Şişli, Istanbul, Turkey in view of the increasing demand of our business and to deliver prompt and speedy service to all our clients. We thank you for your continued trust and business. The Moroccan Trademark Office (OMPIC) has announced that, as of 28th May, 2018, trademark registration certificates and renewal certificates will be issued electronically in a digital PDF format, stamped by OMPIC. 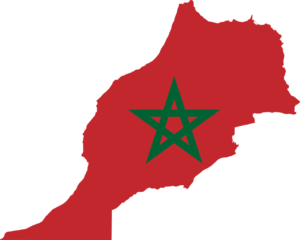 This new practice will expedite the registration process of national trademarks in Morocco. On April, 2018, the Egyptian Parliament approved the draft of the new Consumer Protection Law (“the Law”). Said Law shall enter into force within three months from the date of its publication in the Official Gazette, and the Executive Regulation thereof shall be issued within three months from the day the Law enters into force. One of the highlights of the Law is introducing a new concept, known as Online Contracting. Acknowledging this concept is seen as a milestone to reach a satisfying level of transparency and security for consumers. As we currently live in an era that relies on Online Contracting when carrying out daily activities, consumers need definite and concrete laws and regulations to govern such contracting methods. The Law shall apply on all Online Contracting activities between Suppliers and Consumers, such as, but not limited to, online shopping and any agreements which are negotiated or confirmed online. Furthermore, the Law took Intellectual Property rights (“IPR”) to a new level by affirming and applying serious penalties on anyone who takes an action that breaches an IP right of another. 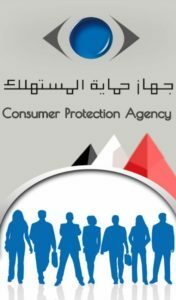 Due to the lack of IPR awareness in Egypt, introducing this concept in the Consumer Protection Law, which is considered a well-known law in Egypt, is a beneficial step for spreading awareness about IPR in general. Currently, the Egyptian Intellectual Property Law no. 82 of 2002 is the applicable law for any IP infringement matter. Said law determines all rights and penalties regarding IPR. However, the new Consumer Protection Law also applies serious penalties on any supplier who undertakes an action that shall result in creating a wrong impression or misleading the end-user of a commodity. In such cases, the breaching party shall be penalized with a fine not less than EGP 20,000 and no more than EGP 1,000,000 or the value of the infringed product, whichever is more; the aforementioned fine shall be doubled in case of repetition. To finalize, the new law is set to be for the benefit of the consumer in every way by applying accurate and explicit liabilities on the suppliers, and in order to ease and secure the business-consumer activities. Our experienced team would be pleased to assist you in any Intellectual Property or Consumer Protection matter.